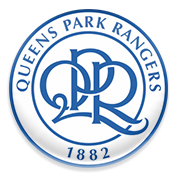 Buoyed by a thrilling 4-0 win over Swansea City, QPR will be looking to give fans yet another reason for celebration when they face Blackburn Rovers at their Loftus Road Stadium. The Hoops did well to put an end to their seven-game winless run at the weekend and, as a result, their Championship status is no longer in danger. The capital club are a real force to be reckoned with at home and we predict that they are going to prove their worth on the field in Friday’s football match against the Riversiders. Blackburn Rovers sit in 15th place in the standings, meaning that the lack of motivation could prove to be a big problem for them in the remainder of the season. Anyhow, seeing that QPR impressed in the 4-0 win over the Swans, we believe that there is a big value in betting on the hosts. Blackburn Rovers have been trying to return to the Premier League ever since they dropped to the Championship in 2012. The Riversiders compete in the English second tier and they play their home games at Ewood Park. 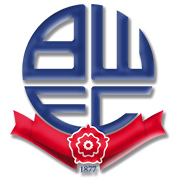 Blackburn were founded back in 1875 and they are one of the founding members of the Football League (1888). Burnley are considered Blackburn’s main rivals and the two teams square off against each other in the East Lancashire derby. It has to be noted that Blackburn Burnley 7-1 in their first ever meeting in the East Lancashire Derby on 3 November, 1888. The Riversiders have won three First Division (Premier League) trophies (1911/1912, 1913/1914, 1994/1995). Blackburn Rovers have clinched six FA Cup titles as well. Speaking of the club’s European success, the Riversiders won the UEFA Intertoto Cup in 2007. The colour of Blackburn’s home kit is blue and white.